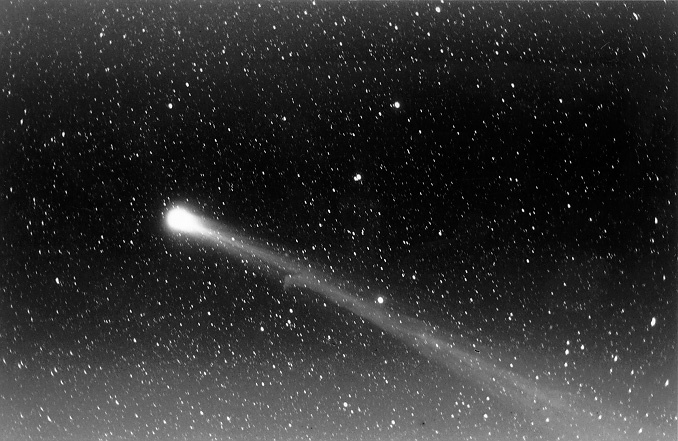 Image of comet Hyakutake taken at Big Bend National Park in Texas. The picture was taken with an OM-2 camera with a 50mm lens at f2 piggybacked on a C8. The exposure was about 6 mins with hypered 2415. As seen in the image the tail is a good 30 to 40 degs in lenght. The picture was taken on march 25th around 0230 CST.